Living Benefits are insurance coverages that benefit YOU and not anyone else. They protect you in case of serious illness, or injury. 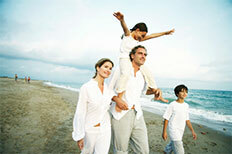 Different types of Living Benefits cover different types of possibilities. Some insurance, like critical illness, pay a lump sum. Other insurance, like Disability insurance and Long Term Care insurance, pay a monthly benefit. It is important to review these types of insurances. One person in three will develop a critical illness. For disability the statistics are even higher as we age. At any time, a serious illness or injury can prevent you from going to work for months or even years. If this were the case, how long would your savings last? How would you maintain your standard of living? What would happen to your retirement planning? Click on the drop down menu “LIVING BENEFITS” above to read more details on each type of Living Benefit insurance. Once you determine the type or types of insurance you need and the amount you are only a few clicks away from determining costs.